The Supreme Court of Canada will hear a case on whether a distributor is responsible for a franchisee's losses during a food recall. The top court has granted an application for leave to appeal by a class-action lawsuit representing Mr. Submarine Inc. franchisees against Maple Leaf Foods Inc. and Maple Leaf Consumer Foods Inc.
"We're very pleased that the Supreme Court will hear the case," said Peter Kryworuk, a partner at Lerners LLP, who represents the franchisees. "The appeal involves matters of importance not only to the parties, but ... to the business community and certainly to franchisees across the country." The case started after a 2008 recall when Toronto-based Maple Leaf pulled roughly 200 products due to a deadly listeria outbreak caused by contamination at one of its plants. The franchisees say that they were bound by an exclusive supply arrangement to purchase ready-to-eat meats through Maple Leaf from a distributor. Maple Leaf voluntarily recalled two of the ready-to-eat meats, roast beef and corned beef, supplied to the franchisees, according to court documents, and media reports linked Maple Leaf to various food sellers, including Mr. Sub and McDonald's. The franchisees claim suffered a six- to eight-week product shortage, and that being the sole sub-sandwich retailer the media identified as selling sandwiches with Maple Leaf meats hurt their reputations and gave their competitors a significant advantage. The first judge to hear the case ruled that Maple Leaf owed a duty of care to the franchisees to supply a product fit for human consumption. Maple Leaf appealed that decision and the Ontario Court of Appeal ruled in its favour in April 2018 that the duty is to the customers and not the franchisees. The franchisees then sought to have the Supreme Court hear the case. "The duty of care owed by a producer of food or really anybody who supplies a product to a franchisee is a really important issue and one that the Supreme Court has not previously addressed," Kryworuk said. He expects the top court will hear the case later this year, but no date has been set yet. 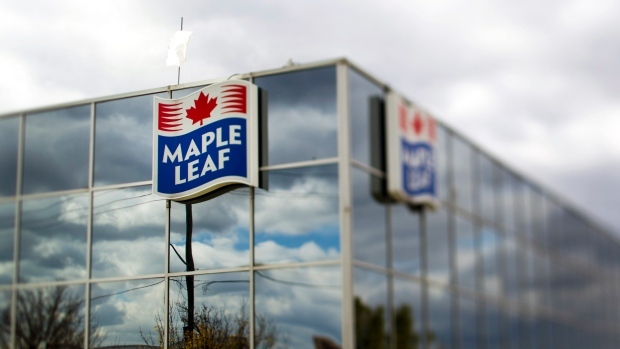 The counsel listed for Maple Leaf Foods did not immediately responded to a request for comment.